Group projects have a reputation for being horrible experiences. This is true no matter how old you are: whether you’re in junior high, a sophomore in college, or even if you’ve been tasked with a group assignment at your full-time job. Appointing a number of varying work ethics and philosophies toward one high-stakes mission is not always a natural success. Some are go-getters who have their to-do lists finalized before the end-of-class bell rings. Others need the pressure of an upcoming due date to really kick their butts into high gear. With this difference in priorities, it’s easy for important tasks and projects to fall off the rails quickly. But there has to be a better way to use the talents of your team members at their fullest potential. Especially as adults in a professional workplace, our focus should be on cohesion instead of chaos. Enter: project management strategies and personnel. Project management is all of the processes, techniques, information, abilities/talents, and experiences applied to achieve a certain set of goals. In other words, it’s the process of directing a project from beginning to end. Imagine how much smoother your college group projects would have gone if there was one member who was being graded entirely on their ability to keep track of progress and delegate assignments. This is what a project managers, project management solutions, and project management strategies exist to do. If your team is missing deadlines, forgetting important steps, or just overall falling below expectations, it’s time to consider a project management strategy of your own. It’s time to whip things into shape to make your team stronger. If this sounds challenging, good. Most worthwhile things are. But I promise you’ll come out the other side of the process grateful you did it. So, if it’s time to make a change — and if you’re reading this, it probably is — grab a pen and paper. Let’s get to work. In order to understand why project management matters, you must first learn what it is. This process can be operated by a designated employee or aided with a project management software solution. For maximum effectiveness, consider combining a project manager employee with a software solution. Arming project-oriented employees with productive solutions is a surefire way to increase efficiency. Additionally, project-inclined leads can adeptly handle hurdles that, at first glance, threaten to derail even the best laid plans; intimidating hurdles like scope creep. Projects usually have a set beginning and end date. That’s what makes them so manageable: they’re given defined boundaries from the start. Being so, professionals are sometimes collaborating across departments or with employees at separate companies. Consider a publishing company’s project to create a new company handbook. Not only would it need writers, but also illustrators for the cover and any internal images. If it doesn’t have illustrators or graphic designers within the company, it would have to hire externally. This example displays the necessity of having clearly-defined personnel to help keep track of the processes. 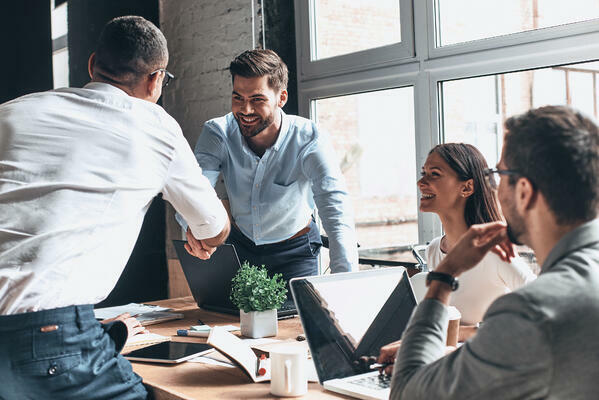 The scope of a project varies, but it’s important to understand that good project management strategies positively affect people across departments and organizations. The project life cycle consists of all of the various phases that a project goes through from commencement to completion. Just like the life cycle of a plant or small insect, a project also lives to see multiple stages. This is why devoting time and energy to the management of a project is important. If you’re crossing your fingers and hoping every team member does their part and passes the project on to the correct personnel, you’re setting your team up for failure. There has to be a clear workflow, deadlines, and strategy for project supervision. Otherwise, you risk important steps falling through the cracks. Managing multiple projects can be tricky. Check out our 13 Strategies on How to Manage Multiple Projects in the Workplace. 1. What business problems will this project solve? 2. What makes this project worth doing over other projects? 3. What’s our budget, and what do we predict this project is going to cost? Do those numbers align? 4. Is this project time sensitive? If yes, what’s our deadline? If this project is not time sensitive, is now the right time to begin work on it? 5. Will this project take away from the work employees are currently doing? If so, is it important enough to prioritize ahead of other projects? 1. Who should work on this project? Which team would be most effective in carrying out this initiative? 2. What is the best way to measure success within the project? Is the project’s success based on revenue, website traffic, or conversions? 3. What’s your workflow? When one team or individual finishes their component, who does the project go to next? 4. What needs to be put on pause in order to focus on the completion of this project? 5. What are the various steps of this project that need to be considered and developed? The planning phase heavily relies upon a project management employee, solution, or strategy. Map out the steps to completion. 6. What are our project milestones? Project milestones are ways for project managers to measure progress by ensuring they meet certain predetermined mile-markers. To learn more about project milestones, read my article What is a Project Milestone (and why They Matter). This could take weeks to months. Perhaps your project has no real end, and this initiative is indefinite. Such a process is aided by calendar software, team collaboration software, document management software to organize paperwork, etc. In this phase, you’re responsible for looking ahead to imagine what might be necessary for the project’s completion. Delegation and execution: This is the phase where employees actually begin to carry out the steps of the project. Once the idea has been approved and plans have been finalized, it’s time for the designated team to get to work! In this phase, you introduce the project or initiative to team members and clearly communicate your expectations. This stage can often go awry because of poor communication or a lack of planning in the previous step. Team members want to do their jobs well, but this requires good leadership and direction. Additionally, you want to be sure everyone is on the same page. It can mess up the whole project to have various team members understand instructions differently. When delegating steps to a project’s completion, consider having instructions in written form or providing visual examples of exactly what you’re looking for. The clearer your employees understand what you’re asking them to do, the more effectively they can carry out their roles. Monitoring and management: As adults, it can feel strange to have our colleagues “babysit” us and monitor our productivity. But a good project manager or leader acts more like an asset to employees and less like a micromanager. They exist as a point of reference for when employees become confused and rework due dates as emergencies arise. Project managers are also there to make sure the ship is running smoothly. Team members see a project narrowly: they understand their part and play it well. Project managers have a broad perspective on the goings-on. They have their hands in everything, monitoring multiple moving parts (say that five times fast). Deadlines: The predetermined dates employees are expected to complete a certain aspect of the project. Cost: The overall monetary spend on a project, including whether the budget is being maintained. Workflow: The sequence in which varying aspects of a project are passed from one project participant to another. Quality: The condition of work and whether that condition meets predetermined standards or agreements. Resources: The distribution of proper tools and solutions to ensure project participants are enabled to do their part well. 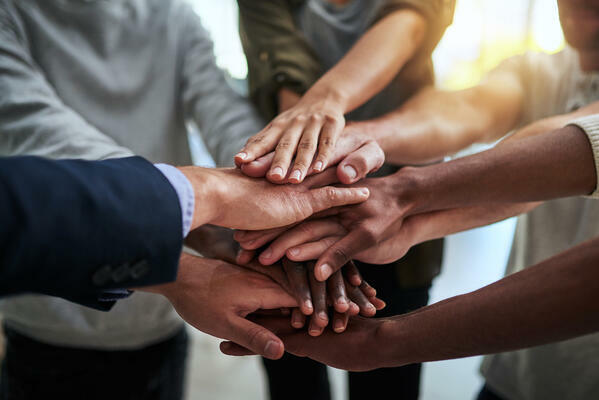 Team communication: The clear communication from one team member to another, one department to another, or one organization to another that ensures all participants are up to speed on varying project statuses. Troubleshooting/risk management: The problem-solving skills applied when unforeseen or troublesome circumstances arise in relation to the project. Project wrap up or closing: Once things have been completed, it’s time to close the project. Although you’ve done most of the hard stuff, closing out a project is of equal importance. You may have made it through your mile, but you still have to complete the cooldown stretches. Pay out money owed: Have you paid out every person who is related to the project? This is not so much a concern if you’ve been working with employees inside your company. However, if you contracted employees or hired freelancers, it’s important to double, and even triple, check they’ve been paid the amount you agreed upon. This will prevent any legal issues from arising down the road, as well as make that organization more likely to do business with you again. Evaluate budget: You set a budget at the beginning of this project. How did you do? Now’s the time to really sit down and look at those numbers, scary as they may be. Hopefully, you’ve been diligently keeping track of spend throughout the project’s duration. But it’s important at the end to tally everything up and see if you came out red or green. Did you reasonably predict the budget? Is there anywhere you completely overspent? Use this time to reflect and learn. Complete documentation: Maybe you have contracts to file. Maybe you have invoices to sign. 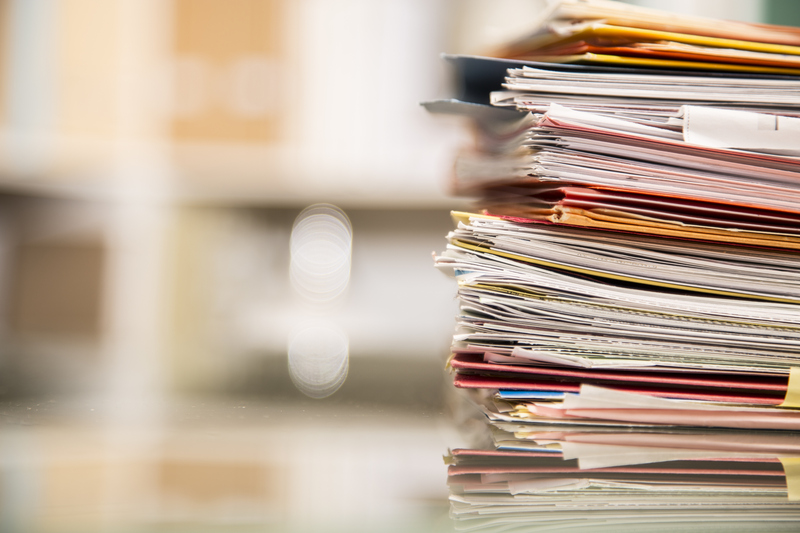 At the end of a project, make sure you complete all of this paperwork and file it away properly. Review strengths and weaknesses: At the end of every project, managers and administrators should save some time for reflection. Go over the things that went well throughout the process and the things you could have done differently. If you have similar projects in the future, you can learn from these reflections and do better next time. Final reporting: Hopefully, you’ve been using a reporting solution, or a project management solution with reporting features, throughout the duration of your project. 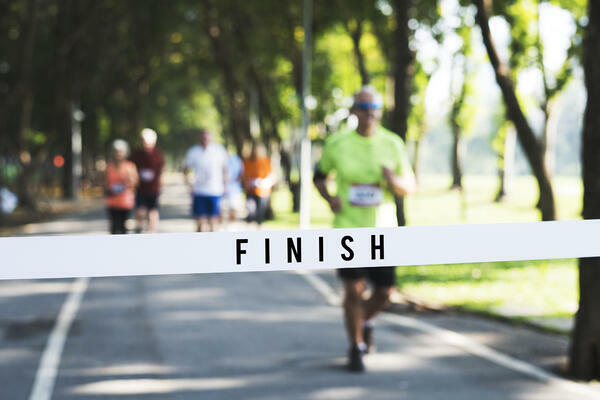 Now that you’re at the end, you should take time to run final reports and analyze data. Publicize data: Your team and partners worked really hard with you on this project, and I’m sure they’d appreciate knowing how things shook out in the end. As part of your “closing ceremonies,” so to speak, be sure to send an update of the project’s final results to those who participated. This is especially useful for stakeholders. If the project was a success, it’s an opportunity to brag on your efforts and show board members your success. Give yourself a pat on the back: This is where you really get to cool down. After you’ve completed a whirlwind of a project, it’s important to take a moment to be grateful for your team and all those who helped out. This can look like a celebratory party or an email calling out key players and noticing their impacts. Regardless, make sure your team knows their hard work has been noticed. As I’ve previously mentioned, one way to ease the pain of managing many moving parts is to utilize project management software. One person can only do so much. Our project coordinators can be responsible for managing up to 15 people at a time. In order to help them maintain their sanity and help us complete our tasks in a timely manner, we utilize project management solutions. “Project management software assists employees, administrators, and teams to manage team goals and long-term projects, and coordinate individual tasks. Project management software does this with a range of tools to manage workloads, monitor productivity, and allocate resources. Task interdependence is a large component of project management software as it is largely used to coordinate assignments that are related to a sequence of tasks or a larger project. Users use project management software to keep track of multiple projects, track a team’s or individual’s progress, and analyze team productivity. With these features, everyone can be their own personal project manager, regarding daily tasks and smaller initiatives. Employees and team members each have their own accounts, meaning they can self-manage the completion of their own assignments. With calendar features, project management tools ensure its users never miss a due date. Some tools can even connect professionals from different organizations. Say, for example, you’re collaborating with another company on a design project. That organization’s employees could be granted access to your project management solution in order to communicate on task folders and stay up-to-date on any and all project changes. As I’ve already stated, project management solutions are ideal for the organization of individual workflows and project upkeep. Only managers can decide if an organization would benefit from a project management employee in addition to the software. TIP: There are also many free project management software tools available for those on a budget. Does my company need a project manager? I am of the belief that no technology could ever do exactly what your humans can. Sure, it makes things easier and automates processes that were previously done by hand, but humans bring critical thinking, problem-solving skills, understanding, and good humor to whatever they do. For this reason, I would err on the side of hiring a professional to help you with project management. However, I know you’re running a business. You have to think about team structure, the cost of adding someone onto your team, and whether they’d be a long-term hire or seasonal for when business picks up. It can be difficult to tell if hiring someone new is right for your business. 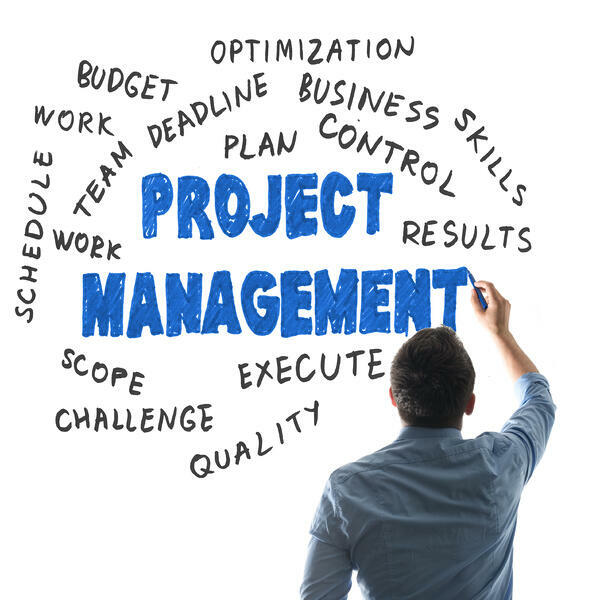 In order to help you make this decision, let’s go over the various reasons a project manager might come in handy. Communication We could probably solve a lot more of the world’s ills if leaders were chosen for their quality communication skills. Good communicators get stuff done. They’re able to make people listen as they speak with a voice of authority. The role of a project manager is often quite collaborative. This individual is the figurehead of a project. Cost It is dreadfully easy to go over budget on something. You have an idea of what something costs and a mental image of what’s left in the bank, only to find out later that those two numbers don’t match up. Perhaps something went wrong, and you have to cover for corrective costs. You have to play manager and accountant, which takes away from the time you could spend on the actual project itself. A project manager has their hands in a project’s budget from the beginning. In many cases, the project manager creates the budget, ensuring the organization can deliver the scope that was promised at a price you can handle. With a project manager handling the financial aspect of the initiative, you have a greater chance at staying under budget. Being that the project manager is the point person for all related aspects of the project, they have a better idea of what can be spent and what needs to stay in the bank. Cost also falls in line with communication. Imagine multiple managers are out there promising their employees they have various items in the budget without first conferring with each other. They then realize they’ve promised all of their money away, and they’re going to have to go back and disappoint a few excited employees. Having a project manager on board cuts this awkwardness out of the equation. All money decisions are going through one person (or one team, depending on how large of a project you’re taking on), and that team knows the budget forward and back. Deadlines Some people hate a looming deadline. Others thrive off of the pressure to finish something on time. Regardless of how you feel, a project manager is there to hold you to these predetermined dates. It’s likely you have a desired timeline for the overall completion of a project. Take road construction, for example. People want that to wrap up quickly so they can return to taking their normal routes to work. However, instead of providing employees with a general idea of when they are to be finished, it’s more effective to provide deadlines in segments. When should the first mile be done? The second mile? The third? Granted, I have no idea how those in construction actually divvy up their work, but having seen how certain roads are blocked off for brief periods of time, I know there’s a strategy to it. Project managers make sure teams are meeting their miles. They make sure multiple teams are meeting their miles. They even make sure multiple teams at multiple organizations are meeting their miles, if necessary. They work alongside employees to ensure important work is being completed as promised. Imagine never having another deadline meltdown again. That could be you! Workflow Sometimes it seems like a human’s work is never done. Even after we finish our assignments within a project, that work has to be passed on to the next team or individual. Think of a project manager as a factory manager. They have to make sure every part of the process is completed on time, every machine is oiled up, all gears are in place, and all conveyor belts are in tip top shape. As one team finishes up their role in a project, it moves on to the next team or company. Project managers are there to make sure this transition goes smoothly, all parties understand their participation and responsibilities, and nothing gets left behind. This sounds simple enough, but you’d be surprised how many projects go asunder because one small detail was taken for granted. With a project manager, every detail is more likely to be accounted for throughout the duration of a project. If you can believe it, the aforementioned items are only a few reasons why a project manager might be good for you and your business. They are multi-taskers whose brains are much more suited to remembering a multitude of priorities at once. Some organizations have seen so much success with project managers that they hire individuals to help lead every team at their company or, at least, those teams that have more to remember than they have hours in a day. If you’re hesitant to commit to this type of employee, consider a more short-term solution. Look into hiring a freelance project manager on a one-off basis and let that experience inform the decisions you make in the future. Local hiring agencies may be able to help locate the right employee for you and your team. Methodology is defined as the system of methods that you use. Essentially, it’s your strategy. When it comes to project management, organizations and departments typically have a methodology or strategy that they prefer and use across the board. Choosing a methodology depends entirely on your needs and the way your team works best. To help you make the best and most informed decision, we’re going to go over the various project management methodologies in full. Bear with me. I know all the names of these methodologies sound like EDM bands, but I promise there’s a method to this madness. Scrum is one of the more popular project management methodologies. It’s a feature of the agile method. Therefore, it’s not a strategy that can stand alone. The term scrum is originally derived from rugby. It is a play in which teammates lock arms with heads down and push forward against the opposition together. When it comes to project management, the definition varies slightly. According to TechTarget, “Scrum is a framework for project management that emphasizes teamwork, accountability, and iterative progress toward a well-defined goal. The framework begins with a simple premise: Start with what can be seen or known. After that, track the progress and tweak as necessary. The three pillars of Scrum are transparency, inspection, and adaptation.” Within the scrum format, teams usually run their ships in two-week or month-long increments known as “sprints.” Think about how a track athlete might sprint the straights of a track and walk the curves. This is similar. Teams take their chosen periods of time to really push toward their incremental goals, then begin again. Within the scrum methodology, teams are often self-managed. The team divides up the work between members and focuses on accomplishing it within that sprint. The deadline and workload is always clear, allowing employees to divvy up their responsibilities as needed. The scrum methodology consists of daily standup meetings wherein team members deliver updates on progress, blockers, or ideas. With such transparency within the team, a project manager is not always utilized, and team managers can control the direction and focus of the project. Scrum is a fast-paced methodology that works best within flexible teams that can quickly adjust to change. This applies not only to the project, but perhaps within the company as a whole. Such rapid ideation might require new employees, new team developments, and overall expansion processes. Scrum is best for teams with experienced managers who are skilled in prioritizing the right things. It works well for those who can self-lead and go through projects without much hand-holding. Because of its deadlines and narrow focus, scrum is not recommended for larger teams that have a multitude of employees to manage. It is, however, an effective methodology for organizations with smaller, focused groups of professionals who are ready and willing to take on larger projects. TIP: Learn the differences between Kanban vs Scrum and the best use cases for each. Brick wall, waterfall, girl you think you know it all?” Well, you probably didn’t know that the waterfall method is literally the oldest trick in the book. Waterfall project management was developed in the 1970s and is still prominently used today, in the software and engineering industries especially. This strategy consists of creating a sequential order of predetermined stages or steps in which to proceed. In order to utilize the waterfall method, those leading the project should have the stages laid out beforehand. This requires project managers or team leaders to have a clear understanding of the project design from the beginning. You’ve probably used the waterfall methodology without even knowing it. Have you ever made plans to run a marathon? Put a wedding together? Sold your house? The waterfall method can be used in all of these situations. It’s simply the process of listing out the things you need to accomplish and completing them sequentially. 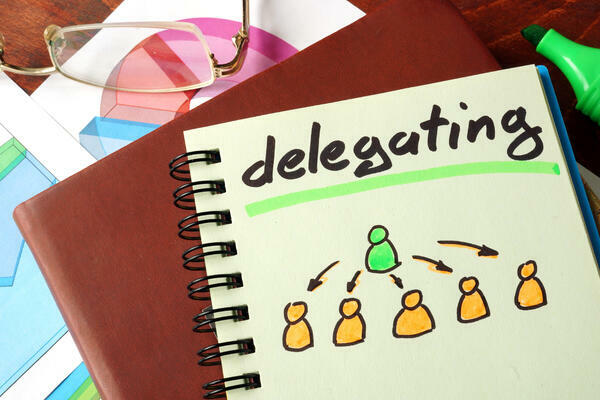 If you’re working with a team, then the steps might consist of delegating tasks down the line. Each step in the waterfall method is completed before you continue to the next. This gives you time to reflect and double check to ensure everything was done correctly. The structure of this method does not allow for going back and redoing previous stages. It requires that you get things right the first time around, which can make it risky for those uncertain how the project will go over. For this reason, you may want to consider if it is the right strategy for you and your goals. To call someone or something agile is to say they are able to move quickly and easily. Gymnasts are agile. Rock climbers are agile. 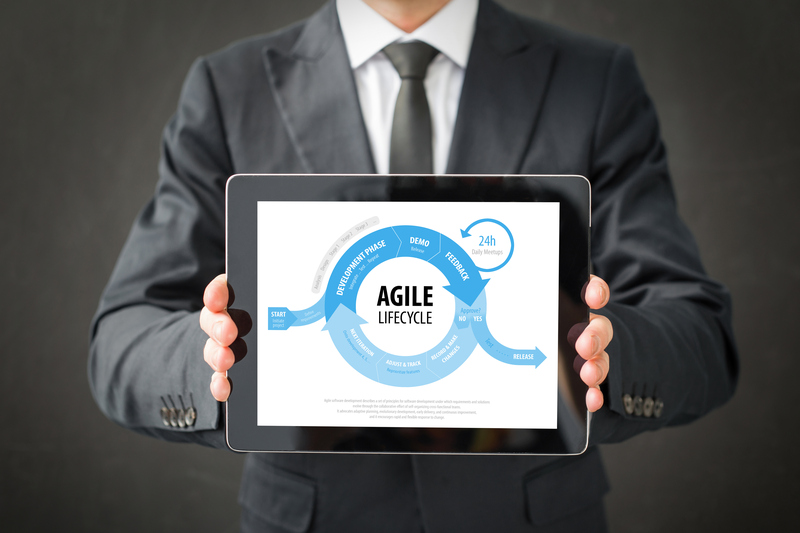 And, if you have a rapidly developing strategy and employees who need to be able to keep up, your project management methodology should be agile too. You start out with an idea, implement it, and make improvements in real time. The agile methodology is much more flexible and gives your employees the space they need to collaborate and create better solutions. Say, for example, your company is rolling out a live chat feature for the first time. You may find within a week that having one person field chats is ineffective, yet bounce rates remain high. In an agile methodology, you’d simply regroup and find a solution. Maybe the next week you try having three people on the live chat feature or test an away message that keeps customers waiting instead of closing out your website. One difficulty of an agile methodology is that everything is essentially guesswork. Your deadlines aren’t as set in stone and neither is your budget. 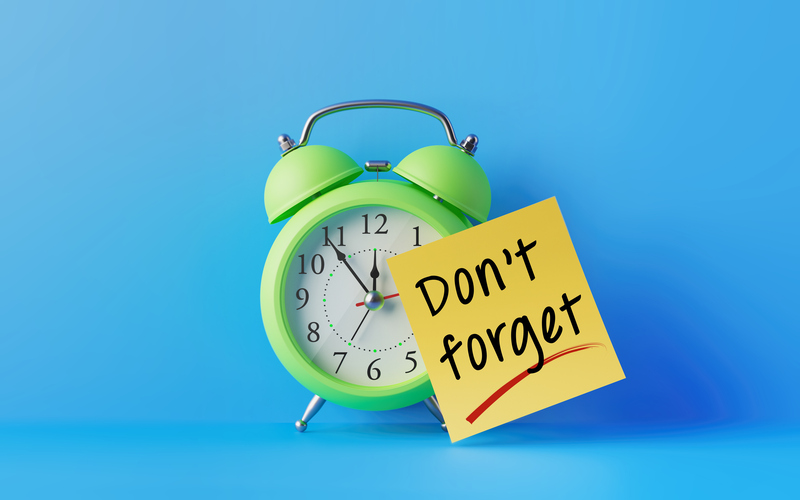 As circumstances change, you may need to rewire some things and push back due dates or splurge on additional resources. If you’re operating under extremely fixed resources, this methodology may not be for you. The agile methodology is often an effective strategy for creatives or any team that is collaborating heavily. It requires constant communication, as the squeaky wheels get the grease. If you’re on an agile team, this means you’re responsible for speaking up when processes are chaotic or inefficient. With the hybrid, teams take a little more time in the beginning before jumping into a project. They remain flexible in the later stages, but have more initial direction. Hybrid projects have both structure and flexibility. While the problems are mapped out in advance, iterations can be added on continually. This means teams don’t have to completely start over should their original plans need changes. However, both strategies do have to give and take with one another. It’s neither completely structured nor completely freeform, so this strategy can feel like a compromise. The hybrid approach is effective for teams that have an idea of what they want, but aren’t entirely sure how to get there. This works well for those that have a budget in place ahead of time and are able to iterate without going completely overboard. PRiSM stands for Projects integrating Sustainable Methods. The PRiSM approach is unique in that it maintains a focus on a project’s environmental footprint. This strategy was developed by Green Project Management (GPM), which has won awards for its green techniques and overall maximization of resources. Whereas some project management methodologies only consider the project lifecycle when making plans, the PRiSM strategy challenges people to consider the after-effects. As you might suspect, the PRiSM methodology is pertinent in communities where environmental protection is already a priority. While the environment might not always be the center of the project, this methodology certainly is popular within organizations that generally prioritize environmental care and sustainability efforts. Consider what kinds of industries might utilize PRiSM. What types of organizations should consider the environment as a priority when planning their projects? The oil and gas industry should consider long-term effects, for one. Any company that requires deforestation to do its job should also consider the PRiSM methodology. This could include real estate or construction industries, as well as any manufacturing company. PRINCE2 stands for Projects in Controlled Environments. Funnily enough, this methodology was developed for, and most often used by, the British government. It has since become more widely distributed and is utilized by other European countries, as well as Australia. Similar to the scrum methodology, PRINCE2 requires members to divide projects up into smaller and more conquerable stages. This methodology is the standard for information systems projects in the U.K. PRINCE2 is da structured methodology with seven principles that are consistent, regardless of your organization. 1. Continued business justification: Is the project continually viable? 2. Manage by exception: Communication, such as meetings, is only utilized when necessary (i.e. when a problem arises). 3. Learn from experience: Team members maintain a consistent lessons log throughout the duration of the project. Those working on the project should refer to the current and previous lessons logs to speed up processes. 4. Defined roles and responsibilities: Individuals are not their roles, but, rather, individuals may take on many roles. The four levels of roles are: corporate or program management, project board, project manager level, and team level. 5. Manage by stages: The plan is controlled by one stage at a time. Before transitioning into a new stage, team members must document updates such as new risks, the overall plan, or any updates of the next stage in relation to what has recently been discovered. 6. Focus on products: In other words, focus on the deliverables of the project. Everyone should be driving toward a desired outcome. 7. Tailor to suit project environment: This methodology should be tweaked according to the environment in which it is being utilized. For example, if your company does not operate according to the structures previously mentioned, continue to operate according to your normal structures. Sort of like waterfall, the PRINCE2 method does not accommodate change as easily as agile or scrum. One downside of this strategy is that any change requires a redo of almost all documentation. Because this is a document-heavy methodology, that could add up to hours of work. This methodology is obviously suited for government projects in the U.K., considering that is the purpose for which it was created. It’s also best for projects that have their requirements sorted out. Again, with so much documentation necessary, it’s not something you’ll want to improvise. Integrated project management is a methodology in which an entire company standardizes its project management strategy. This strategy is especially relevant in creative fields, so as to bring structure to the development of various collateral. The IPM strategy ensures there is clarity across the board by having all employees follow the same structure. It makes it easier to communicate to your colleagues where you are at in the process, considering they operate off of a similar agenda. Integrated project management might be a good strategy for you if your organization plans to publish content across platforms and devices. It’s called “integrated” because all aspects of the process work together to make each other more effective. In critical chain project management, planning revolves around resources. By this, I mean the people and equipment you have to carry out the tasks. While this methodology does take stock of task order and deadlines, it doesn’t use those as its driving force. CCPM is a relatively newer methodology that asserts focus toward resource sustainability. Administrators are tasked with analyzing the end deliverables and working backward to determine what kinds of resources are necessary to complete the job effectively. CCPM is a great way for companies with limited resources to achieve their goals. It is notorious for helping organizations complete projects more quickly and with less spend. In CCPM, a focus is placed on mono-tasking, the allocation of all energy toward one task at a time. This is different from multitasking, which often has employees splitting their focus between various project components. 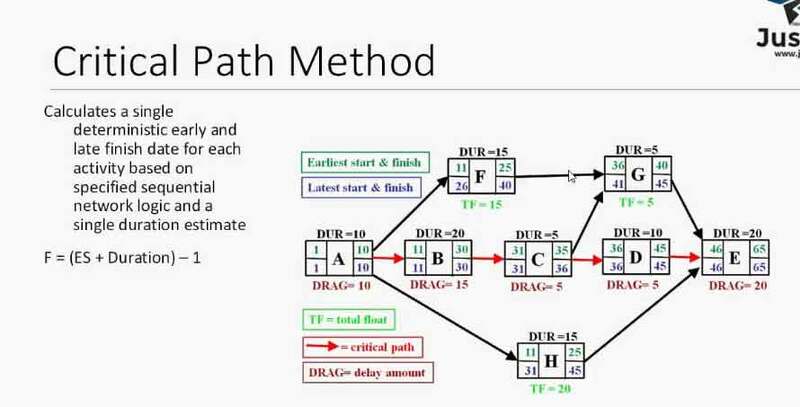 Critical chain is an alternate solution to critical path analysis, which we will discuss shortly. You may use CCPM if you are able to allocate resources and energy toward a single effort. If you pull from the live chatting example previously mentioned, CCPM would be a fitting methodology if that company could devote an entire team’s time to the deployment of a live chatting solution. It is difficult to enact CCPM across departments and teams due to conflicting priorities. This project management structure is driven by an algorithm that determines the structure of a project’s schedule and activities. In CPM, administrators of a project are required to understand the work structure or activities needed to be accomplished, the time allotted to each activity or task within the work structure, dependencies, and deliverables. Once you understand all of these variables, use the estimated duration of each task, as well as their dependencies, to help structure the project. This will help determine the overall timeline of the project, as well as delegate tasks more efficiently. With CPM, you are able to determine which tasks can be completed at the same time and which ones depend on the completion of prior steps. With such detailed scheduling, organizations waste less time throughout the duration of their projects. CPM is, unfortunately, not a great strategy for amateurs. It necessitates experienced leaders. If this is your first time leading a project, this methodology is not for you. It works best for organizations leading projects whose various responsibilities depend on one another. One example of this would be home building. It’s impossible to put down carpet while you’re still laying the foundation. However, team members can work on other aspects of the job, such as cutting wood to build the walls or creating the insulation. The Gantt method is not a methodology in the same way the aforementioned items are. Rather, it’s a strategy that precedes technology. Gantt charts help users visualize tasks over time. Before the creation of Gantt software, engineers and architects might have done their work on paper or through the use of Legos. What an utterly manual process! Gantt charts are the original project management software and helped form much of the practices professionals abide by today. A PERT chart is another project management solution. While this methodology originated as a solution for the U.S. Navy, it has since been adopted by many as a way of scheduling and organizing tasks. PERT charts represent a group’s “to-do’s” visually, with each task as its own node. The nodes represent events in the project’s lifecycle. The tasks flow from one to another, allowing users to see what comes next in the workflow. PERT charts are made up of dependent and concurrent tasks. Dependent tasks depend on prior tasks’ completions. Concurrent tasks do not. PERT charts are recommended for project managers or administrators who clearly understand how to use them. They are difficult for amateurs to utilize, as the order of tasks and their dependencies can be confusing. There you have it, 11 different types of project management methodologies. Hopefully you’re able to pick one you like and can productively use for many projects to come. Remember, when it comes to effective project management, you have a whole team to consider. What is their experience or expertise, and what would work best for them? Take into consideration the specific project and which methodology might benefit it most. If you choose one and things go terribly wrong (again, like every group project I’ve ever been a part of), simply revisit this list and change up your strategy. The methodologies we listed are all different, geared toward different team structures, and won’t look the same for any two organizations. Picking the wrong one at first is not a failure, but an opportunity to try again. If you’re taking on the management of a project, there are certain project management skills you’ll need to hone.If you are looking to hire a project manager as an independent role, there are certain skills you’ll need to look for.Project management isn’t for everyone. It requires an adept personality, a self-starter, someone who is passionate about getting things done and getting things done right.Regardless of who is running the project, the following are important professional and personal characteristics to look for or develop in an individual before putting them in charge of your company’s projects. Organization: Can you imagine a scatterbrained person trying to coordinate every aspect of a corporate-level project? Not that there’s anything wrong with scatterbrains. I myself am part of that club. But in order to properly manage a project, a person should have excellent organizational skills. They should be more than someone who keeps a daily planner, but who keeps a daily planner that is color coordinated by task and level of importance. This type of organization will keep your team and its tasks running smoothly. An organized individual responds to emails on time, keeps deadlines, and has checklists for most everything. If you’re going to choose a project manager, be sure you understand their organizational talents. What are some examples of a time they needed to stay really on top of a project, event? Delegation: Another aspect of project management is the ability to know who is best at what. In the event of a school project, this might mean asking who is the best at numbers versus who could come up with a creative project title. In the professional world, this means knowing your employees and how to read people. So many projects fail simply because they were tasked to the wrong person or group. Everyone wants to feel seen, known, and heard. An excellent project manager knows how to assign tasks in a way that best uses their team’s talents. A lot of companies might take the mindset that their teams should happily accept whatever assignments they are given. While this may work for them, it often fails. Employees are stuck doing jobs they don’t want to do while feeling as though their talents are being wasted. For this reason, look for or try to be the project manager who knows how to properly delegate aspects of a project by personality or talent. Strategy: Remember all of those methodologies we mentioned above? A good project manager knows how to choose the best strategy for your company, the project, and all those involved. Strategy is similar to delegation in that it requires a discerning person who knows how to read a room. What is a team good at? What would they be capable of with the right guidance and leadership? What would absolutely drive them crazy and make the whole team miserable? For example, as a creative, I would get a huge headache trying to work off of a Gantt or PERT chart. No offense to engineers, but I need something more intuitive. The project management methodology shouldn’t serve as a challenge in and of itself. When deciding on a project manager, ask what their strategy would be and why. They don’t have to have every minute detail planned out, but it would help if they had some critical analysis behind their answer. Communication: Project managers wear a lot of hats, one being the head communicator. They are speaking to everyone. They communicate with every manager involved in the project, every employee, those higher up at the company, and anyone at any external organization that might be partnering with your company to accomplish this project. For this reason, project managers have to be excellent communicators. This job isn’t for the person whose email inbox stays bogged down for days or speaks in circles looking for what they mean. They should be a quick responder who is able to state concisely the point they are trying to communicate. Communication is an issue at so many companies. We don’t say what we mean. We’re afraid of stepping on toes. When it comes to project management, there is no time for this apprehension. If something has changed, an employee has missed a due date, or the designs aren’t at all like they were when you approved a draft, the project manager needs to be able to professionally communicate the situation to other employees or those in leadership. When looking for someone to manage a project, ask yourself who really gets the point across the first time. Who is someone people listen to, and why? Leadership: As a project manager, a lot of people will look to you for answers, guidance, or solutions to various problems. Project managers should exhibit, among other things, strong leadership qualities. By this, I mean your manager should be someone who can command attention easily. They should be well respected by others at your company, as well as by external stakeholders or participants. Project managers retain a certain level of authority over their colleagues. For this reason, you have to ensure they are someone others will listen to. Without respect, your project will remain at a standstill with employees who don’t want to take orders, or who don’t take the orders well. Some employees are natural leaders. Others have the potential to lead after some coaching. 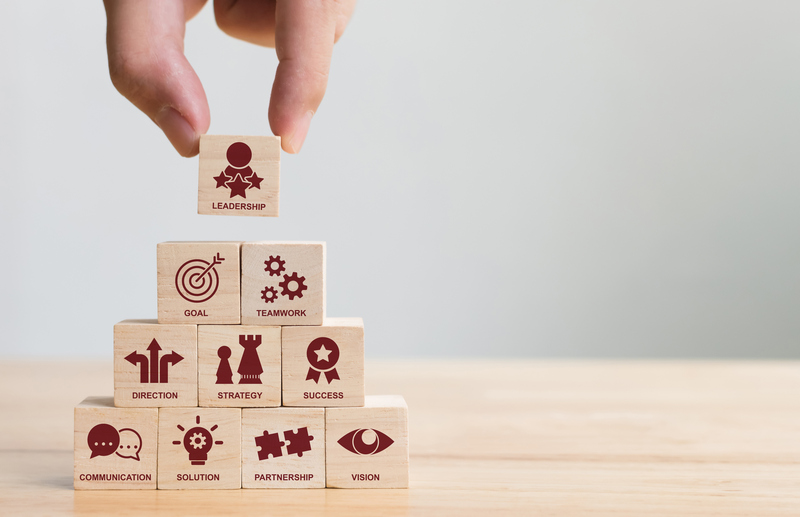 If you have the perfect, organized communicator on your team, but you doubt their leadership abilities, consider putting them on as project manager with the knowledge that you’ll have to coach them through a lot of the stages. If you don’t want to deal with the potential risks of bringing a brand new project manager on the team, go with someone whose leadership skills have already shown themselves. You know your company, and you know who its employees will be most likely to listen to. Negotiation: While this is never the hope, projects can sometimes get a little rough. Maybe the price you were quoted on does not align with the final invoice. Maybe a graphic design team isn’t getting images back to you in the times you agreed upon. Whatever the issue is, project managers need to be able to negotiate a solution. This characteristic is adjacent to leadership and communication skills. While they’re not identical, you often see all of these features within the same person. Before hiring a project manager, ask yourself how you think they would react in a time of crisis. Ask them how they have previously reacted in times of crises. Were they ever at risk of not getting their way, only to find a satisfying compromise for both parties? Negotiation is challenging, and not many people want to do it. It can feel a lot like arguing with other professionals, which I, personally, have no interest in. But a great project manager knows how to find the middle ground between various parties, or even between teams working for the same company. Although we’re all adults who would like to believe our age deems us immune from drama, complications always arise. When something happens, you want to be sure you’ve hired a project manager who can help get you out of the hole as quickly and painlessly as possible. 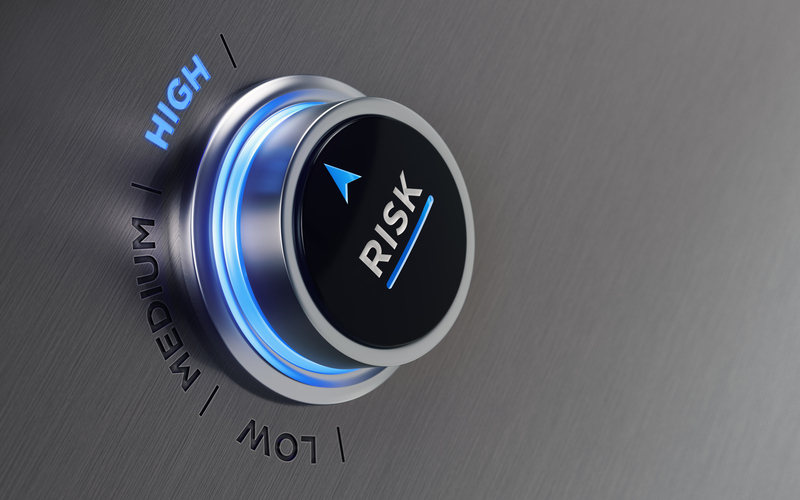 Risk prediction and management: Risk management is the process of forecasting any financial risks that might occur before they become a reality. In addition to forecasting these issues, risk management includes coming up with potential solutions to help avoid or minimize their impacts. A good project manager is, you guessed it, skilled at risk management. With many of the project methodologies outlined above, you truly don’t know where a project is going to go until you’re in the thick of it. Consider agile, for example. 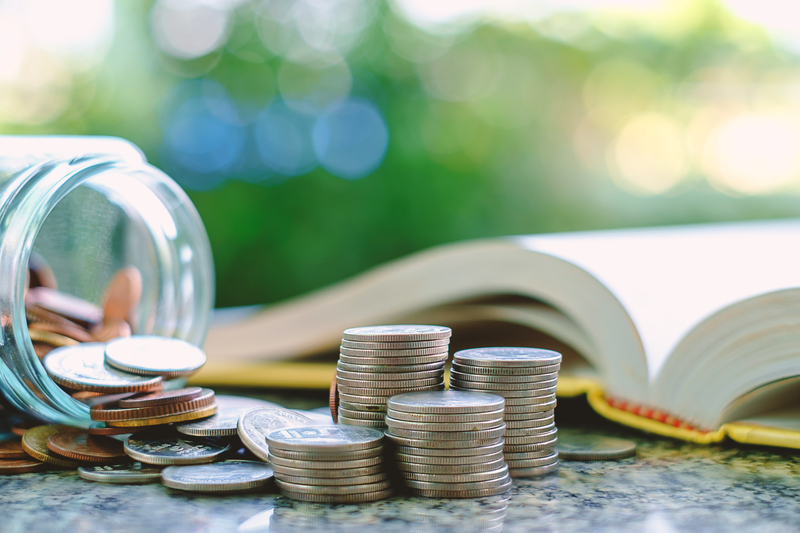 With such an emphasis placed on flexibility, it is incredibly easy to go over budget or over time trying to reroute and fix aspects that didn’t work out the first time. Risk management strategies are a great way to ensure you have the capacity to recover from things that haven’t happened yet. By forecasting troubles and readying yourself for what could be, you’re able to solve problems before they happen. Risk management does not necessarily have to be narrowed down to financial trouble. Especially as a project manager, much of your team’s success depends on its ability to meet due dates. 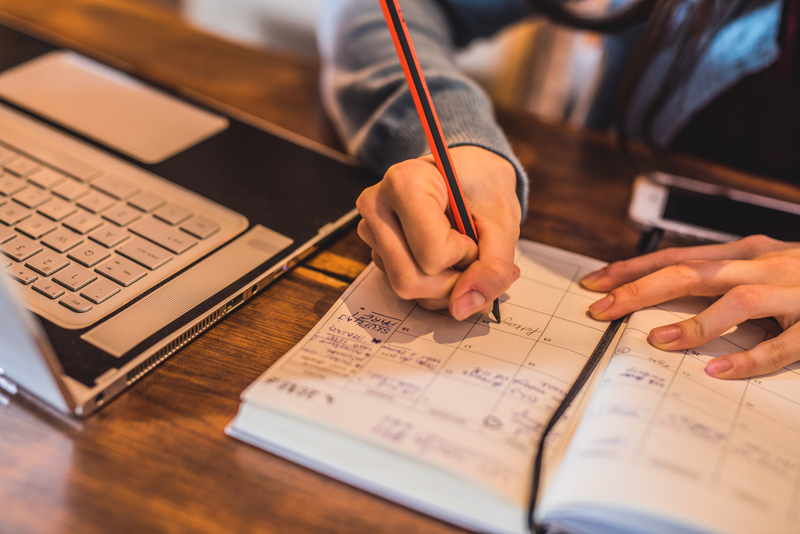 One risk management strategy might be presenting each due date as a week earlier than it needs to be to ensure the team works hard to meet it, while also allowing for some emergency circumstances. If you’re in the process of choosing a project manager, ask candidates about their risk management strategies. In what situations have they had to solve problems before they made themselves fully known? Were those solutions successful? Consider the specific types of problems that might arise in relation to your project. No two projects are identical and neither should be the risk management strategies. Prioritization: A good project manager knows how to help your team understand what to prioritize. When a team is tasked with multiple responsibilities, it's easy to lose sight of what's most important. A project manager is adept at knowing which tasks rank over others and helping employees determine what's most important to accomplish first. How to Prioritize at Work is a question many want answered. How do we choose one thing when everything seems like a do or die project? 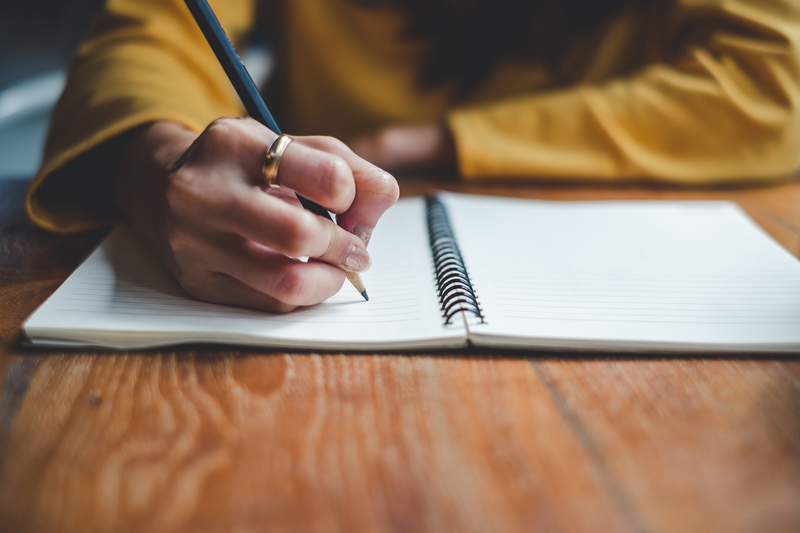 The aforementioned article was written to answer that question, offering professionals a myriad of strategies to help sort through an unending to-do list. These are a lot of characteristics. Can one person truly embody all of them? Maybe, maybe not. The truth is, no person nor project will ever be perfect. When looking for a project manager, you should make a list of the above characteristics that are the most important and valuable to you. Shortlist these features and consider those your must-haves. If a candidate has extras, that’s great! Looking for someone who embodies every single one of them might limit your choices, as well as elongate the hiring process. 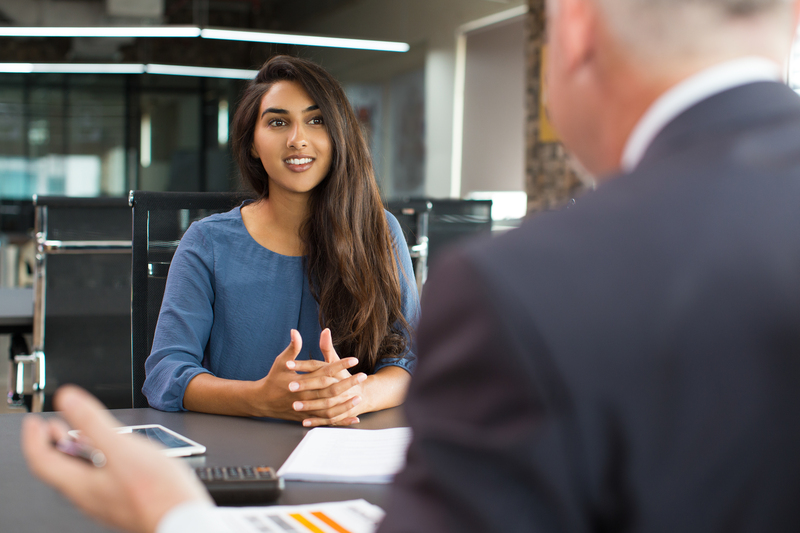 By choosing the ones you won’t do without, you are able to quickly gather a decent sized group of candidates for interview and potential hiring. If you’re looking to choose a project manager from within your team, you probably already have a good idea of your employees’ strengths and weaknesses. You might know Janet frequently misses due dates, but turns in incredibly detailed work. Or perhaps Eleanor is organized, but often fails to factor in potential emergencies. If your team has made it difficult to choose, that’s a good problem to have. Consider sitting down with different employees at various times, discuss whether they’d be interested in the opportunity, and ask if they’d be willing to challenge themselves in certain areas so as to keep up with the role. I’ve talked a lot about the project life cycle and skills needed to effectively run a project. But even with those details, we need not overlook the best practices of project management. G2 Crowd is lucky to have multiple project managers on staff who do their jobs with precision. In conversation with our own team, we’ve been able to come up with a few project management best practices. It is my hope that these tips help you further develop an efficient strategy. These best practices are mostly written for teams that use a project management software solution. If your team does not use software to manage projects, perhaps these best practices could help you better understand how a software solution could benefit your team’s effectiveness. When developing a project, there’s no need to stick within your own team, or even within your own company. Utilize the people around you, either as knowledge hubs or active participants in the project. If something is outside of your comfort zone, loop in co-workers or other professionals who may be better suited to help out with the task. One important thing to remember when managing a project is that you don’t have to maintain an insular community. If you have a one-off conversation with an employee regarding the project, record that or send an email to the rest of the team. If any new ideas or a better strategy have surfaced, or if one employee thought of a better workflow, don’t keep that to yourself. 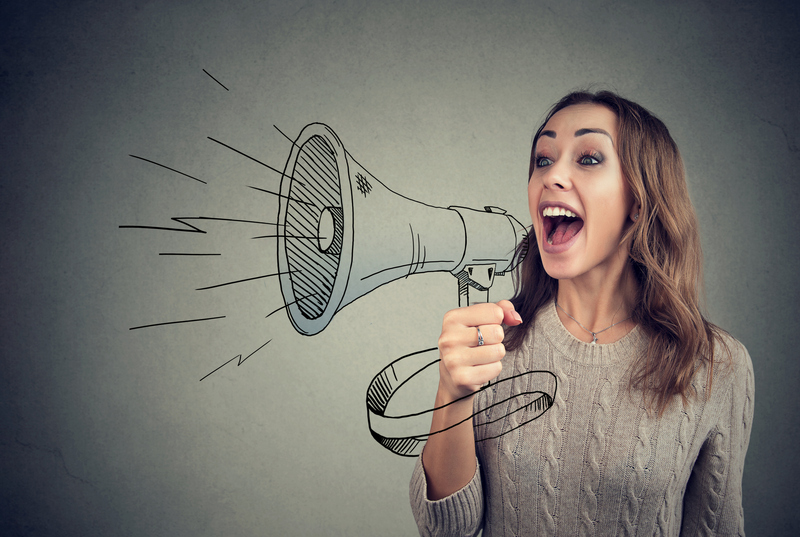 Ensure all employees are aware of communication and make it visible for future reference. Summarize conversations, update statuses, and inform any proper channels of the changes you’ve made or things you’ve discussed. Especially in an agile approach, this keeps the ball rolling with everyone on the same page. If this sounds redundant from the previous best practice, good. Documentation is so important that I don’t mind sounding like a broken record. It is impossible to coordinate an entire project in your head. You need to write things down, make notes for yourself, make notes for your teammates, and more. Say, for example, your boss drops by and wants to know why there’s a delay with the daily report. 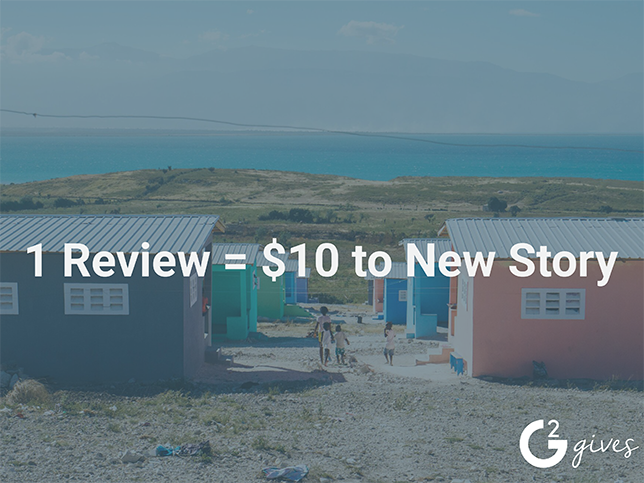 If you’ve documented a change in reporting style, you can easily point that documentation out to your boss, proving your work to better the project strategies. You should never leave a meeting thinking, “someone will do this task.” You should leave every meeting knowing who will perform a task, and when. Failing to assign an owner to a task is a surefire way to see that task never gets done. Not because you have a lazy team, but because everyone has a full to-do list already sitting at their desks. It’s easy to assume someone with a less hectic schedule will take care of it. The truth is, there very rarely is someone with a less hectic schedule who is going to speak up. As the project manager, your job is to find a person with the bandwidth and ability to complete a task and make sure they know it’s on their plate. Ideally, your team members will volunteer for tasks. It’s always a sign of an efficient ship when employees can speak up and say they’re okay to take on more work. But if you’re having trouble getting your employees to willingly take on extra assignments, you may have to make the decision yourself. Using a verb in task names clarifies what you’re expecting that team member to accomplish. It’s possible they see the title “blog post” and ask themselves, “Do I edit a blog post? Do I publish a blog post? Am I supposed to read a blog post?” This both wastes time and could result in the incorrect action being taken. Making tasks actionable results in a higher success rate. It also helps your employees feel like they are receiving good direction. When assigning tasks out to your team, ensure they have proper context for the task. For example, does your software solution allow you to clarify which team this task will be for? Following the, “write blog post,” example, this could help an employee better understand what kind of work management is expecting from them. Your team needs to know what’s important, and when they should complete it. 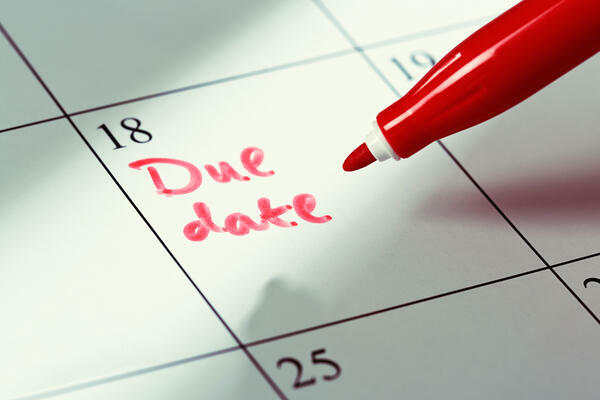 Assigning due dates on tasks is a huge aspect of project management. Without a clear agenda or outline of when things should be finished, it’s quite easy for teams to lose focus. If you don’t set clear due dates, the repercussions ultimately fall back on you, as the project manager. Your team could be busy with projects outside of your own, and they need to know which one is top priority. Assigning an immediate due date clearly communicates expectations. Due dates also encourage employees to speak up if they are experiencing troubles with their work. If it’s seeming impossible to complete everything in their inbox on time, an employee can come to you and help negotiate a new due date. This is much better than completely passing the date by due to unclear expectations. 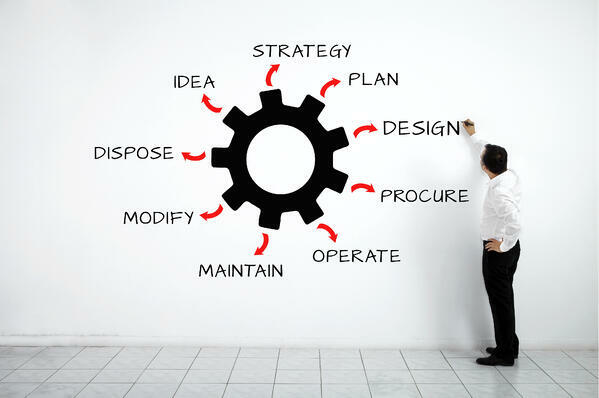 Project management solutions specialize in making project management easier for clients. It sounds obvious, but this aspect is often overlooked. It’s possible your project management solution has developed content, tutorials, training, or tips to help users better understand or more efficiently run projects. When using a software solution, get to know its features. Speak with your sales representative or a customer service agent to fully understand what it offers to help steer and guide users. Software is only helpful if we understand how to use it! How many times have you sat in the back of a meeting room rolling your eyes, wondering why you were called in to listen to one person ramble on about things that don’t pertain to you? If you can’t tell by that description, it’s happened to me one too many times. You feel your time is misused, you’re not using the workday constructively, and — worst of all — you’re going to be reprimanded for your lack of productivity during the time you couldn’t control. Project managers can, surprisingly, have a lot of effect on how meetings go. Project managers are often the ones running the meetings, or at least they are the ones who run meetings pertaining to their projects. They call meetings, choose agendas, and create the invitation lists. It’s important for project managers to have a good command of the room and communicate effectively, among other things. All in all, meetings should be a place where every employee feels their presence is necessary, time is well-used, and mind is engaged. If you look out into the audience and see six droopy eyes, it’s possible you’re not running the meeting well. But there’s still time to change! It’s not too late to strategize and revitalize your team. 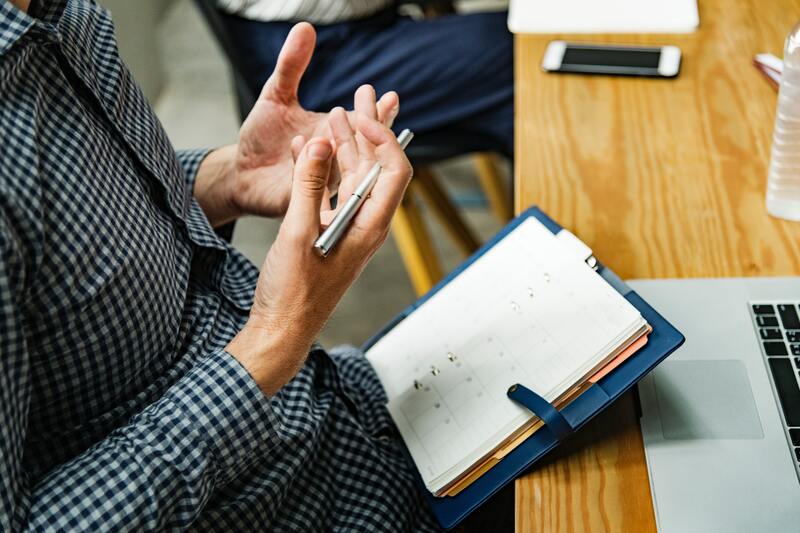 The following outline will provide various strategies you need to know on how to lead an effective meeting that makes good use of company time. Perhaps the most important rule of leading a meeting is going in with an agenda. Just like a school teacher plans out their lesson plans, you should diligently plan out your meeting content. 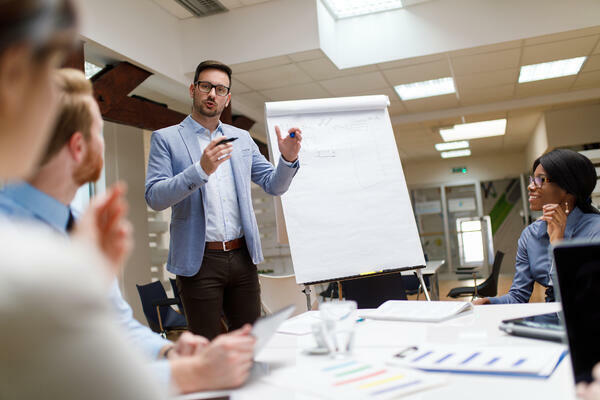 The agenda should be detailed and specific, and the project manager or meeting leader should have an idea of what they want at the end of the meeting. Do they want unanimity on the new HR policy? Then a vote should be on the agenda. This agenda features everything the project manager wants to discuss. It doesn’t have to be a long meeting, but with a diligent agenda, nothing will be overlooked. This one’s a biggie. Being in a meeting you don’t need to be in is a real buzzkill. Instead of being an active listener, you sit there for half an hour brooding on all the things you could be getting done. 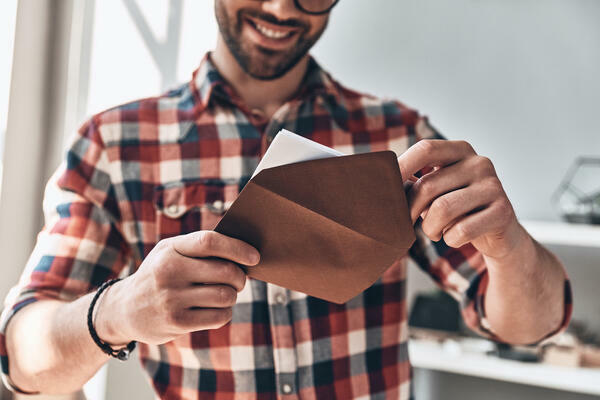 Before sending out the invites for a meeting, go over the list one more time and make sure everyone on there is essential. This is part of using your team’s time wisely. While it’s nice to have everyone’s input on something, ask yourself who really needs to be there. Oppositely, make sure you haven’t overlooked anyone. Even worse than inviting too many people is leaving out a key player. This is, unfortunately, also something that has happened to me before. I was one of our guinea pigs during the roll out of a new software, but was not invited to a meeting regarding that software’s success or failure within our team. This moment made me feel unheard and unnecessary. Like I was vital to the project’s roll-out, but not pivotal to its improvement. This story serves to demonstrate how important it is to make sure you have the right people on the invite list. Even if you overlooked someone by an innocent mistake, it doesn’t always feel that way to the person you forgot. Many organizations utilize time-keeping methods to structure meetings. Remember the agenda we spoke of earlier? Time-keeping basically means you take each part of it and assign it an amount of time you’re willing to allot to its discussion. For example, introducing the new HR policy may take five minutes to summarize. Each questionnaire may also take five minutes. 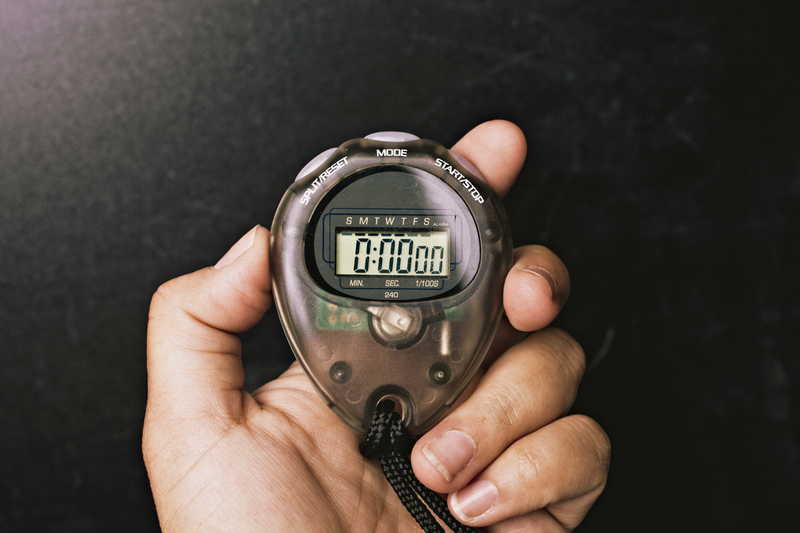 By recording how much time you’re willing to take on each talking point, you keep the team on track. In addition, you ensure the meeting is just long enough to get to everything you want to lay out on the table. This, again, goes along with respecting your employees’ time. Having a 30-minute meeting packed full of information is energizing and makes me feel like I’ve really taken that time out of my day to learn and discuss something of value. Some people prefer to write how many minutes they want to use to discuss a certain topic while others will write out the time of day. The difference means writing out “five minutes” versus “10:25-10:30.” While the latter is more specific, it’s also a moot schedule if anything starts later than planned. Which, you know as well as I do, typically happens. As project manager, you should be prepared to keep people on task. Getting off topic isn’t necessarily a bad thing. Maybe your team is super creative and gets going on a brainstorm session. But if it’s the wrong time and place, the project manager has to reign everyone back in. Feel free to tell employees you’ll write their ideas down and plan for a later discussion while restricting the present conversation to the matters at hand. One easy way to ensure your team stays on topic is by letting them know the topics. Send them the agenda in advance so they understand what’s on the docket. When I understand a meeting’s priorities beforehand, I’m less likely to derail a conversation that deviates from those priorities. If you’ve done your job well, it’s likely you’re throwing a lot of information at your teammates. No one can remember all of the points hit during a 30-minute or hour-long meeting. Encourage your team members to take notes on the conversations, so as to remember what interests them. Note-taking helps your employees better keep track of the things you’ve said, should they need that information for later reference. It also helps them better understand their individual roles in a project or quietly record the response to something you just answered. Note-taking also encourages follow-up questions toward the end of the meeting or after the fact. Your agenda might not allow for fluid questions throughout. Employees can make note of the things they want to ask, and you can address all questions together at the end. This saves time and ensures you get through all necessary communication before opening up questions. It’s possible some aspects of your meeting are going to shock people. Are you rolling out a completely new software? Are you announcing promotions? Is the office moving to a new location? No matter the actual circumstance, ask yourself before a meeting if there’s anyone on the team who should be prepped and ready for certain circumstances. For example, you may want to tell your managers about certain changes before revealing them to the team at large. This gives them time to think about the message and makes them better supporters and facilitators once the meeting begins. This isn’t always a necessary step, but is worth considering if you are presenting to an audience of diverse responsibilities. Projects are cyclical. 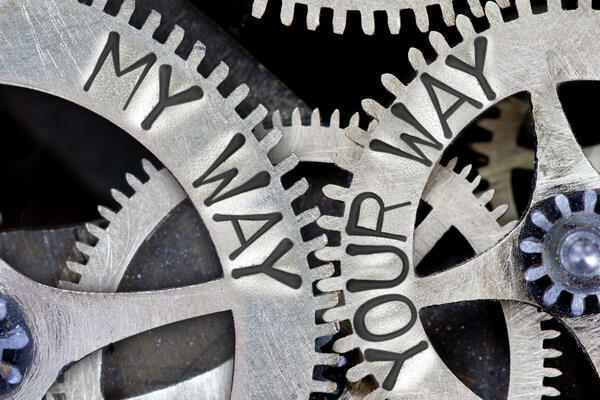 You’ll almost always be in the middle of some roll-out, change, directive, contracted agreement, or any kind of process that requires taking things step by step. For that reason, it’s vital to have your strategy developed and honed. Having a project management strategy is the best way to set your employees up for success. As a leader, it’s your job to empower them to do their job as best they can. You don’t have to get it right the first time, and many don’t. But you should keep taking notes, testing different strategies, finding your strengths, and tweaking inefficiencies. The more you strategize and regroup, the more likely you are to find the perfect project management methods and softwares for you and your team. Now that I’ve laid the groundwork, it’s time for you to get busy! You have a team out there waiting on you to steer them in the direction of success, so get to them.